Kyle Weeks is the subject of a new short film documenting his recent trips to Ghana to progress his series, Ghanaian Youth. As one of five photographers selected by Creative Review for its Zeitgeist Award 2017, Weeks moves from behind the camera to in front of it to reveal his process and motivations. The film, which is sponsored by EIZO (makers of ColorEdge computer monitors) and produced by idea makers Peter & Paul, follows the Namibian-born, South Africa and Netherlands-based artist as he explores the “all-encompassing, raw energy” of Accra and engages with the young men he meets - hawkers selling jewellery, rappers at a dancehall party, performance artists at Chale Wote festival, boxers on the beach, stylists in impeccable retro outfits and BMX crews doing daredevil tricks before tumbling to the floor. Weeks joins Nadine Ijewere among the winners of the Zeitgeist Award, which celebrates up and coming photographers who capture the mood and imagination of now. 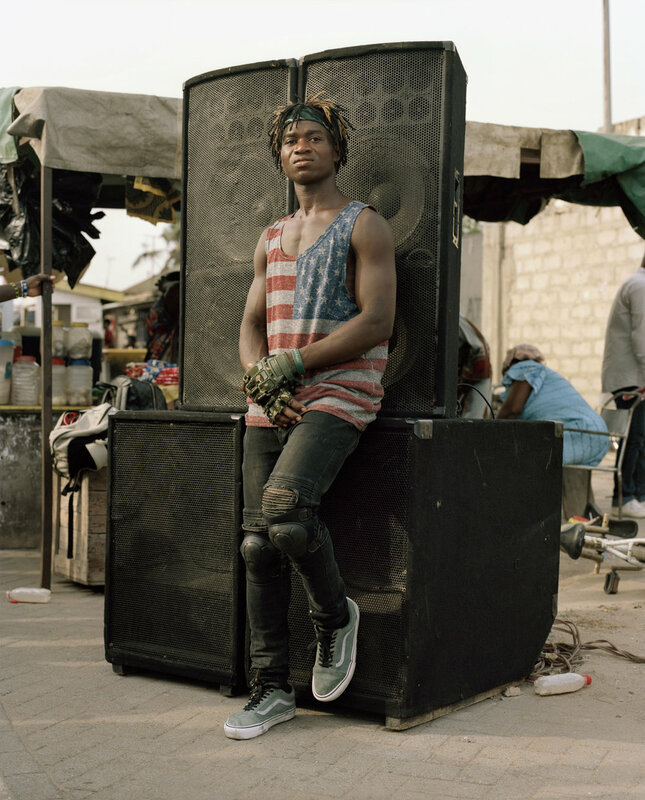 Both of them showed with Nataal and Red Hook Labs at our New African Photography II exhibition last May. Watch the two-part fashion film, Rêver, with Ijewere here and here. Read our 2017 interview with Weeks about his other award-winning series, Palm Wine Collectors, here.